Peachtree Publishing Company, 9781561453948, 32pp. Raymond and Nelda make up funny songs and share chocolate-covered strawberries. They like to play ball and they always laugh at each other's jokes. 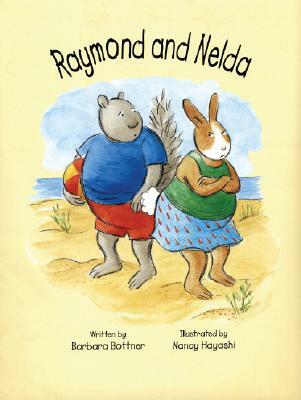 But one day, Nelda twirls for Raymond and falls down. Raymond laughs at her. "Some friend " says Nelda. Now the two aren't speaking. But life isn't nearly as much fun without a best friend. It's up to Florence the mail lady to deliver some important letters that might just help Nelda and Raymond make up and be best friends once again. Barbara Bottner's quirky story of a friendship negotiates the highs and lows of relationships. Nancy Hayashi's illustrations colorfully capture the appeal of the characters and the charm of the story.